Modesto Mangas Mateos was born the youngest of three in Villavieja de Yeltes, Salamanca, Castile y León. When he was 12 the family moved to Madrid, where he worked in a café. The customers were unsure whether he was a boy or a girl. Sonrisas de España, a travelling company that took song and dance to Spanish villages, played in the café, heard him singing and invited him to join. He dressed as a man but was often taken as a woman. His mother begged him to stop, and also the Civil War started. After the war he worked as valet for seven years to the Minister of the Interior, Blas Pérez González. Pérez was apparently not aware of Modesto's past as a singer-dancer, but his wife and children were, and encouraged Perez to choose Modesto. Pérez took his entourage to Barcelona, and rented a villa there. A conflict at work triggered resignation, and Modesto rejoined show business. He started as a presenter at the cabaret Cambrinus. Soon he was performing as a woman, bravely dodging censorship, the only female impersonator in Fascist Spain. He took the name Madame Arthur from the new exciting nightclub in Paris. The show was a great success with aristocrats and bankers who came from across Spain. A show like this was unthinkable in Madrid. Madame Arthur sang, danced and mingled with the audience. He moved on to other Barcelona clubs. Federico Fellini, the Italian film director, came in 1959 for the Barcelona Sant Jordi film awards where his film, which had already been recognised at the Cannes Festival and at the Academy Awards, won further. Madame Arthur dedicated a song to Fellini's winner, Nights of Cabiria, and he came backstage to visit. Madam Arthur organised Incognito, a company of 30 men dressed en femme, and toured. However he was stopped one Christmas Eve while walking in costume to another club. He was charged under the Ley de Vagos y Maleantes (Vagrancy Law) with disorderly conduct by being drunk and Modesto was three months in the Burgos prison. Nevertheless the Caudillo Francisco Franco himself presented Modesto with the Medalla del Mérito al Trabajo (Meritorious Work Medal) – Modesto turned up for the ceremony in jewellery and furs. 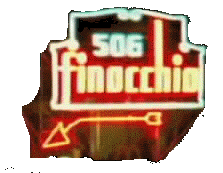 In 1962 Modesto had a small part in the Italian film, Totò di Notte n. 1, as a transvestite. Madame Arthur continued performing beyond the death of Franco in 1972, and into the more liberal age that followed. He sometimes stayed in role off stage and worked out details of what would be Madame Arthur's family life. While a pioneer, and as openly gay as it possible to be under the Franco dictatorship, he had difficulty adjusting to the new generation that grew up after the Franco years. He found them ostentatious and did not understand the request for gay marriage, hormones and transgender surgery. He described himself to El Pais in 1983 as a Catholic and rather conservative. He had also become a Barcelonian. He declined invitations to perform or to open cabarets in Madrid. In 1981, Modesto, as Madame Arthur, returned to Villavieja de Yeltes to a reception in his honour. Other than that, he never returned to Salamanca. He died at age 77. 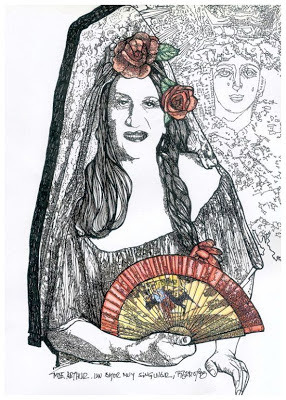 Pierrot, the Spanish writer, featured Madame Arthur in his 2006 book, Memorias Trans: Transexuales, Travestis, Transformistas, which inspired Eduardo Gion to make his 2011 documentary. Lluis Bassets. “Madame Arthur aún no puede retirarse”. El Pais, 9 de junio de 1983. http://elpais.com/diario/1983/06/09/ultima/423957602_850215.html. Isabel Olesti. “LA CRÓNICA Adiós a Madame Arthur”. El Pais, 1 de marzo de 2000. http://elpais.com/diario/2000/03/01/catalunya/951876441_850215.html. Pierrot. 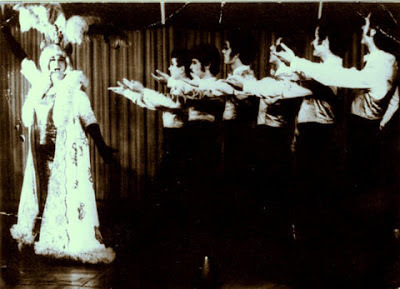 “Memorias del Espectáculo: Memorias Trans: Carmen De Mairena, Madame Arthur, Gilda Love, Sandra Salome”. Web Carla Antonelli. www.carlaantonelli.com/pierrot_memorias_de_espectaculo_8.htm. “Una exposición y la presentación de la película en VillaVieja”. El Reportaje, 24 de abril de 2011. Online at: http://madamearthureldocumental.blogspot.ca. Armaris Oberts. “Madame Arthur, La Reina Del Paral.Lel”. L'Armari Obert, 15 d'octubre de 2011. http://leopoldest.blogspot.ca/2011/10/madame-arthur-la-reina-del-parallel.html. Despite the 1981 reception, Modesto Mangas is not included among the Villaviejenses ilustres on the ES.Wikipedia page for Villavieja de Yeltes. El Pais does not tell us which Interior Minister Modesto was valet to. Armaris Oberts opts for Camilo Alonso Vega who was Interior Minister 1957-69 and notoriously supervised the concentration camps. However I opt for his predecesor Blas Pérez González who was Interior Minister 1942 – 57. The El Pais article does say “nos situamos en los años cuarenta (we are in the 1940s)” re being a valet, and Modesto has to complete seven years and still be in Barcelona to meet Federico Fellini in 1959. Pérez was later charged with crimes against humanity. Peggy Wijnen (1945 – 1967) barmaid. Vicky West (1935 - 2005) artist.